A bunch of close friends, a Go-karting race, shooting some bows & hitting the bulls eye! Sounds like the perfect holiday, right? Well, UPto75 is here to make it even better with a deal you cannot refuse. 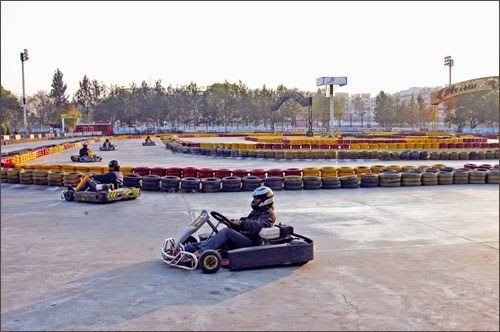 The deal includes not only rounds of Go-Karting, shooting and archery, but also has buffet lunch/dinner, hi-tea and couple of other activities like 8 Ball Pool, Table Tennis & Roller skating too! Usually, such an offer would cost you not less than a thousand bucks or so, you can see it for yourself here, but UPto75, has got this deal done at cheap rate of only Rs.700 per person! That's unbelievable right? Then see it, here! So, why waste the upcoming holiday? Why not make it fun and adventurous at Runway 9 in Hyderabad ? Get a bunch of friends (minimum 10) and grab this Runway 9 Hyderabad Deal Coupon soon, and that too for free! Yes, only UPto75 can offer you a bet like that!